The Dynabrade .4 hp Vacuum Die Grinders are suitable for fast material evacuation, completing the process of, uprooting separating lines & streak. These devices are utilized for carbide burrs, revolving documents, mounted focuses, move cartridges, wheels and plates. Each model incorporates urethane Vacuum Shroud components for proficient catching of dust, flotsam and jetsam and contaminants (for example, Hexavalent Chromium). It may also be utilized for non-ferrous materials, fiberglass and composites. The unit incorporates 1/4" Collet Insert and 6 mm Collet Insert. 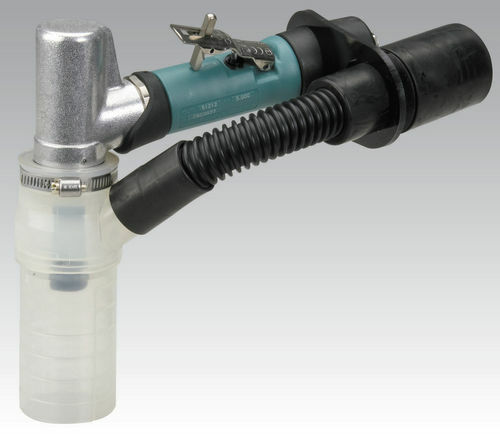 All models incorporates Conductive Hose & Cuffs, to shield administrator from electrostatic release (ESD).